It’s never been a secret to any Nightwish fan that Tuomas Holopainen—the band’s keyboardist, lyricist, main songwriter and composer—has always deemed himself a fan of movie score music and has strove with each Nightwish album to merge the two worlds of symphonic metal and film music to the point where one cannot determine where one genre ends and the other begins. From their humble beginnings as “acoustic mood music” in the late ‘90s, each Nightwish album has grown bigger and grander in magnitude and scope; as the music progressed, they seemed less like typical rock or metal albums and more like the soundtrack to a movie no one had yet seen. There was no denying that it was this component to the music that made Nightwish one of the stand-outs among their contemporaries. Over the years, the music of Nightwish has been featured in some movies as part of a soundtrack, but Holopainen oftentimes expressed his desire to someday compose a full movie score. So then it was probably no surprise to anyone—or at least it seemed the most obvious next step in the evolution of Nightwish— when it was announced in early 2011 that the “major twist” that would be revealed about their album in the making turned out to be that not only was the new record going to be a concept album, but that there would also be a full-length feature film to complement the album. At the time, the announcement was made that the album/film was to be called Imaginarium, to be directed by Stobe Harju, whom at that time was best known for directing the band’s music video for “The Islander” from the album Dark Passion Play. Nightwish was keeping to their reputation of being the trendsetters of their genre; and fans were ecstatic at the idea of seeing Holopainen’s lifelong dream not only come to fruition, but to be a project born of his own ideas—not just his composing a movie score for a film written by somebody else. Even the plot of the movie was distinctly Nightwish: an old man suffers from dementia, believing he is still a boy and regressing in his dreams back to childhood, where he tries to find his lost memories through the music he has composed throughout his life. At the same time, his estranged daughter seeks to understand the father she never knew by piecing together the fragments of his shattered memories. 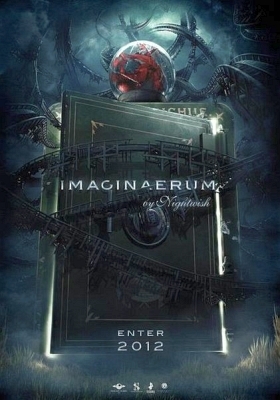 As 2011 progressed, changes were made and the project’s name was ultimately changed to Imaginaerum, to avoid legal ramifications from those who held a copyright on the name/title “Imaginarium”. However, the project’s name change didn’t dampen the enthusiasm from fans to know more about this unique undertaking. The movie began filming in the Canadian city of Montreal in September of that same year. Not only did the cast range from seasoned actors such as Ron Lea to young stars on the rise such as Quinn Lord, but even the band themselves would be in on the act with their very own cameo appearance! 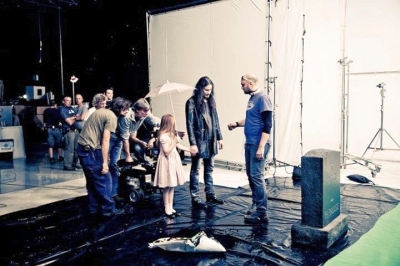 Although this was a hot topic that kept Nightwish fans talking, it was also hard for some to decide whether they should get excited about the film, or set themselves up for disappointment, based on the limited information that was given. Many fans feared that the movie would be a “bomb”, along the same lines as Pink Floyd’s The Wall, and that this could only spell the beginning of the end for Nightwish. So after several delays and setbacks that pushed the film’s release date from August to November of 2012, after over 2 years of anticipation, fans all over the world (or at least in countries where Imaginaerum had not already been shown in theaters) would finally get the opportunity in late April of 2013 to see the movie for themselves and decide whether this was either the worst decision Nightwish ever made, or their most brilliant career move thus far. The film begins with wintry imagery of falling snow and naked tree branches, the opening melody of the song “Taikatalvi” faintly playing in the background. Images flash across the screen of a snowflake making its journey through the air, taking us to a snowman being built: a strange-looking snowman wearing aviator goggles, a leather pilot’s cap, a compass held by a leather strap around its neck, and an odd smile looking like the stitching on a baseball. As the child’s mittened hands shape the snowman, a woman’s voice is faintly heard, giving instructions on how to make the snow-figured image. The voice becomes clearer as the woman encourages the boy, Tom, to come back inside; a storm approaching. She makes a passing comment about how “creepy” the snowman looks before they leave it out in the blizzard. Turns out the snowman is a prominent figure in the story; his name is Mr. White, and according to the fairy tales young Tom is told in the orphanage where he and his friend Ann live, a child’s dream can make the snowman turn real. Never is this more apparent than when the snowman Tom has left behind in the backyard comes to life and pays him a visit at his bedroom window. They appear to be old friends, as Mr. White refers to him as “buddy” (a name that may or may not come to annoy you before movie’s end! ), and offers to take him on a ride. From there they begin the adventure of a lifetime: or, as we come to see as the movie goes on, a journey through the recesses of Tom’s forgotten memories. However, Tom’s real life isn’t as thrilling and exciting as his magical dream world. In reality, he is an old man who has suffered from multiple strokes and dementia; each episode further risking his life and compromising the few memories he has left. His estranged daughter, Gem, is one of only two people that still have anything to do with him (besides his old friend Ann); and Gem’s relationship with her father is more out of duty and less out of love. As we follow the characters through the movie, we learn the reasons behind Gem’s estrangement from her father; and while Tom goes on a voyage through his mind to connect the missing parts of his memories, Gem is on a quest of her own to reconcile her bitter feelings towards a father she has never really known. As the film reaches its climactic end, both of their worlds parallel each other as they work together to solve the puzzle of Tom’s fragmented recollections. Throughout the film, there are four key pieces of imagery that factor in to the storyline: a lone snowflake drifting through the air, which represents the pivotal moments in the plot. Then there are the sheets of paper with random writing that the elderly Tom clutches to shortly before his collapse that sends him to the hospital, where he is now in his comatose state; while at first this only seems to symbolize the songs he has written, we come to understand that they actually represent the remaining memories that Tom is trying desperately to preserve. The writing will come to have greater meaning as both Tom in his imaginary world, and Gem in the real world attempt to make sense of what he has written. Another important symbol in the film is the compass that we first see worn around Mr. White’s neck, which eventually ends up with young Tom after they become separated. As we follow Tom through the dark alleys, barren wastelands, empty corridors, and broken edifices of his mind; we realize that the compass signifies the life that has spun out of control. The compass especially seems to go haywire whenever Mr. White is near, or when the snowman attempts to take control of Tom by way of force. This obviously foreshadows what is hinted by Ann throughout the movie: Mr. White is not someone to be trusted, and someone who does not really have Tom’s best interests at heart. The final metaphoric icon in the film is the most prominent, and whose symbolism is not made clear until the very end of the movie: a glass globe with a dancing figure inside, known as an “arabesque”. The arabesque is Tom’s prized possession: from the time he goes to the orphanage as a child to the final moments of his life, the arabesque remains with him and is something he loves so much that he even takes to referring to the dancer inside as his “princess”. He has grown so attached to it that he is even convinced that the motionless dancer will spin around if he can play a certain chord on his piano. The arabesque is the only common link between Tom and his daughter Gem; as we see in various parts of the film, Gem has come to treasure the arabesque as well, and part of her disillusionment with her father has a lot to do with incidents in her childhood revolving around the mysterious dancer in the glass globe. The only connection between the two worlds of Tom’s imagination and of Gem’s reality is one person: Tom’s lifelong friend Ann. She refers to herself as Tom’s “voice of reason”, and it appears she is the overall “voice of reason” throughout the entire film. Although there is not a lot of detail to the backstory, it is clear enough that the friendship between Tom and Ann began in the orphanage; where they grew up together, and in their adult years, formed a band. Gem is resentful of Ann because of this, and blames Ann for her mother’s death. Just as Ann’s personage pleads with Tom in his dream world not to give his life away to Mr. White. Ann works just as fervently in the present to make Gem understand the truth behind Tom’s deepest-buried secret. As Tom wanders aimlessly in his imaginary world, he stumbles across an empty nightclub that comes alive when he innocently turns on a gramophone and the opening notes of “Slow, Love, Slow” begin to play. The lounge lights up, and the room is filled with an audience of mannequins, watching a band performing onstage. It’s none other than Nightwish! The men are dressed to the nines in tuxedos, while Anette sings this sultry number in a gorgeous red dress. While it is not said implicitly, it appears obvious that Anette and Tuomas are supposed to represent the characters of Ann and Tom in their adult form; what happened to them in-between their youth in the orphanage, and their present-day state as infirm senior citizens. It is at this point when young Tom and Mr. White meet up again, and it’s not a pleasant reunion! We soon follow the boy and the snowman to a day at the circus, but it’s not like any circus you’ve ever been to! This is the second appearance of Nightwish in the film; the “Scaretale” scene, where the band is all dressed up for a spooky Halloween party. Anette is decked out as a sort of “evil” Snow White, Tuomas is wearing a Phantom of the Opera-type mask, and Marco is an evil-looking ringleader as he welcomes everyone to Cirque de Morgue! Sure enough, the name is just as eerie as it implies, as Troy Donockley and Gem’s adult form make a sideshow out of elderly Tom, as young Tom watches helplessly from the sidelines. Thomas Whitman is not just a composer and a poet, but he’s also “a bad, bad father; with a bad, bad memory!” The scene goes from creepy to ghoulish when Gem and Troy the magician make sport of elder Tom by sawing his head open and scooping out the memories inside. With each memory they pull out as a sheet of paper that represents a song he has written, Troy magically makes them disappear. Gem mocks her father and his loss of memory, but everything comes to a standstill as she pulls out a paper and refuses to read the contents. Mr. White is sitting in a balcony seat and is not pleased by how this is going. He flies off in a huff, angered that the ending he has come to expect is not the one we see playing out. As we drift through the parallel worlds of Tom and Gem, we see just how the “sins of the parents” carry on to the children, as we watch flashbacks of traumatic events that both have carried throughout their lives. For Tom, it is the horror of watching his father Theodore commit suicide right in front of him. For Gem, it is the terror of seeing her father destroy the arabesque that she, too, has grown to cherish. As the dark red of Theodore’s blood spills, the flaring red dress of the arabesque dancer twists as the globe spins uncontrollably and crashes to the ground. Ultimately it is this turn of events that brings the elderly Tom into this otherworld at last; enabling his present self to see these memories in the here and now, not just as a young boy. He finally recognizes his daughter in his dreams and can attempt to reach her through the final vestiges of memory to which he still holds on. As Tom and Gem each seek to understand the other in their own separate worlds; we slowly watch the enigma of Tom’s random writings unfold. The scrawled words come together and form a pattern that both are desperate to unlock in a race against time, as the elderly Tom’s body fades away and his final moments are imminent. As Tom clings to life in the real world, Mr. White has found the secret hiding place of Tom’s remaining memories and attempts to take them greedily for himself. As Mr. White reaches out for Tom in a last-ditch attempt to take over his mind, the ground shakes. It is here that we see the product of the broken-down bits of wood and metal that were littered across the landscape of Tom’s mind: it’s a rollercoaster. Because now the fragments of Tom’s memory have almost been united, the tracks of the rollercoaster are now together again as well, and Tom steps into the car for his “Last Ride of the Day”. Mr. White flies alongside him, not wanting Tom to take the ride through the recesses of his mind. As we reach the one broken piece left that leaves a gap in the tracks—the one memory still yet to be discovered—we see Tom’s recollections of his father. The little car triumphantly jumps over the abyss, taking us to the final memory of Gem that Tom has tried so hard to recapture. We see a laughing Gem running to meet her mother and father as they pose for the family photograph that is similar to the one Tom had of his own parents as a child. We see a smiling Tom teaching Gem to play piano, and from there the forgotten memory is recalled. As we see Gem and Ann racing to the hospital in a snowstorm, Tom races down the rollercoaster track of his memories; each high and low of the ride representing the good and the bad throughout his life. A moving close-up of Tuomas, his hair obscuring his face; yet we need not see it to know the pain that Tom suffers. As the adult Gem rushes to the hospital to be with her father in his dying moments, we see Tom weeping on the rollercoaster as his memories show him how he became distanced from his daughter. As the rollercoaster plummets back down, Mr. White jumps in front of Tom and proclaims victory over catching him. “I’m all the future you’ll ever have, buddy!” Only this time, Tom is prepared for a final battle as the snowman melts and reveals to Tom all that he has epitomized, and all of the things that has kept Tom from himself. Without giving away the plot twist, Tom realizes that he must forever let go of the thing that has had a stranglehold on his entire life. As Gem calls her father back to the real world, Tom awakens in the bedroom of his childhood once again, and finds the snowman standing untouched in his window. Taking off the compass he has worn around his neck, he places it back on the snowman and thanks him for the ride. As the snowman dissolves in the winter mist, Tom cradles his arabesque. Content to leave this imaginary world behind; he crawls into bed, bids his princess goodnight and closes his eyes. Finally awakening in the present, Tom opens his eyes to find the faces of Ann and Gem looking down at him. Gem proffers the arabesque before her father one last time, as he calls her “princess”, and they are forever parted. If this scene does not make you cry, well, you are made of sterner stuff than I am! The sterile white walls of the hospital room close in, folding into the snowflake that falls back down to earth and brings us once again to Tom’s house. As the notes of “Taikatalvi” play again, Gem is seen entering her father’s home. The ghosts of the past roam through the halls; the young Gem rushing to her father in an embrace as she sits on his knee to learn the piece of music of which we hear Tom speak. The elder Gem enters the house, holding the sheet of paper that her father clutched before his collapse. The final part of the mystery complete, she takes her seat at the piano. The arabesque spins in loving reminder of a parent’s devotion, as she unlocks the key to all that made her father’s songs possible. Overall opinion: I admit, it was hard to keep from watching all the teaser trailers and various blogs/tweets going around over the last 2 years about the film, because I wanted to keep an open mind about it and watch it as I would any other movie; not as a Nightwish fan, and having no expectations. There were some things that Tuomas told me in our interview last year that made much more sense as the movie went along, and there were some reviews I read of those who saw the movie at the premiere because I was interested in seeing how people were taking to it. However, aside from those things, I went into this with a clean slate. 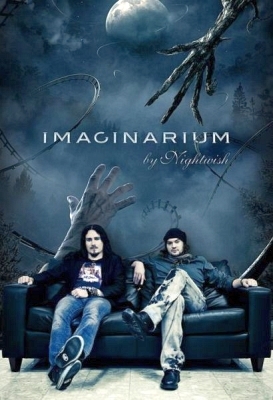 One thing I noticed after the first viewing of the movie is that yes, the music of Nightwish follows us throughout the movie, and any fan who knows the Imaginaerum album will recognize the bits and pieces of songs throughout. However, the movie is not drowning in Nightwish references that only us fans would “get”; a person who has never heard their music before could just as easily watch this film and get as much enjoyment out of it as those who are fans. It helps if you are familiar with the music, because you can hear how each song smoothly shifts to the correlating scene, but it isn’t necessary to know the music beforehand. About the movie itself, one opinion I heard many times among fans after the premiere in Helsinki and among those who saw it beforehand: the movie could have been longer. Granted, it clocks in at nearly an hour and a half, which is not bad for a film. Another opinion I heard expressed was that there was not enough character development in the movie, of which I am inclined to agree. I understand that because the main character has lost his memory, it is the premise of the film for many things to be vague, but I don’t think it would have hurt the plot or story at all to flesh out a few things a little better. Something about the movie that Tuomas mentioned in last year’s interview was that this film is not “blockbuster” material, and that is definitely true. Plot-wise, this is not your typical movie where everything has a happy ending. Even for a fantasy movie, the plot is very much “outside the box”. Tuomas likened this film to a “cult classic”, and I would concur with that assessment. This movie will ultimately find its core following among Nightwish fans, but if it does reach an audience outside of their fanbase, it will likely be among those who enjoy independent films or those who can appreciate the avant-garde. This will probably not be something that grabs your typical movie-goer, as it is not a clichéd storyline with an equally passé ending. In other words, pass on this as a “first date” movie, and save it for watching with those who are such movie buffs that they will have enough of an open mind to watch it! The special effects were interesting; but I liked the “less is more” approach when it came to the basics. I liked that the movie did not hide behind so many special effects that you were straining to find the story within. Two scenes that combined the special effects with strength of storyline was the “Scaretale” scene, and the scene of Theodore’s suicide; both of which I gasped out loud upon seeing for the first time. The “Scaretale” scene, to me, really pushed the envelope and walked the fine line between spooky and downright gruesome. All in all, it was the more simplistic scenes that had the greatest impact for me; and while the climactic rollercoaster ride was cool to watch, I was far more moved by the scene of Tom’s death, where he and Gem come to understand one another before the end. But it was the final scene that was a real tear-jerker. 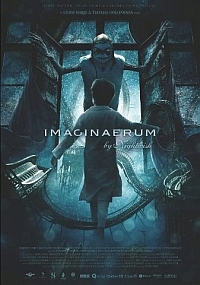 Without giving it away, it encompasses everything that is Imaginaerum; both the album and the movie. The fact that Nightwish happened to be in it was secondary for me. As a fan, it was obviously my reason for wanting to see it; however, I became so caught up in the plot and enjoying the movie for itself, that their cameo role was not the most important thing. Could the movie stand alone without Nightwish being in it? It’s hard to say; the personal touch that Tuomas adds to his character in the film gives it that extra depth, and having the band as part of the story ensures that connection with the audience. After all, this is Tuomas’ story as seen from his viewpoint, so it would feel phony to me to have someone else playing his part. The fact that he had virtually no speaking lines and did all of his “dialogue” through his facial expressions or actions added more intensity to Tom’s complex character. Ultimately, this is a movie by Nightwish, not about Nightwish. Perhaps they could have hired actors to play their roles, but having them front-and-center in their created world gives it all the more sincerity. So you’ve got me: this movie didn’t disappoint. I loved it.